This Throwback Thursday showcases the second comic I released. It was inspired by a article I read about how the country of South Korea was using robot teachers in some of their classrooms. 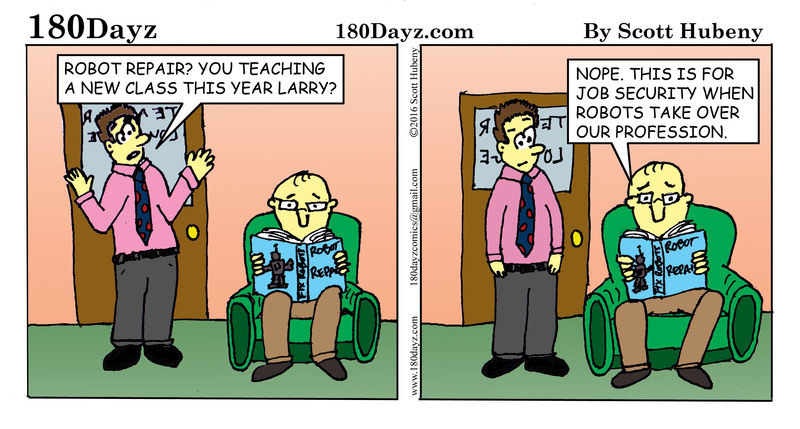 The robots are coming… to a classroom near you!